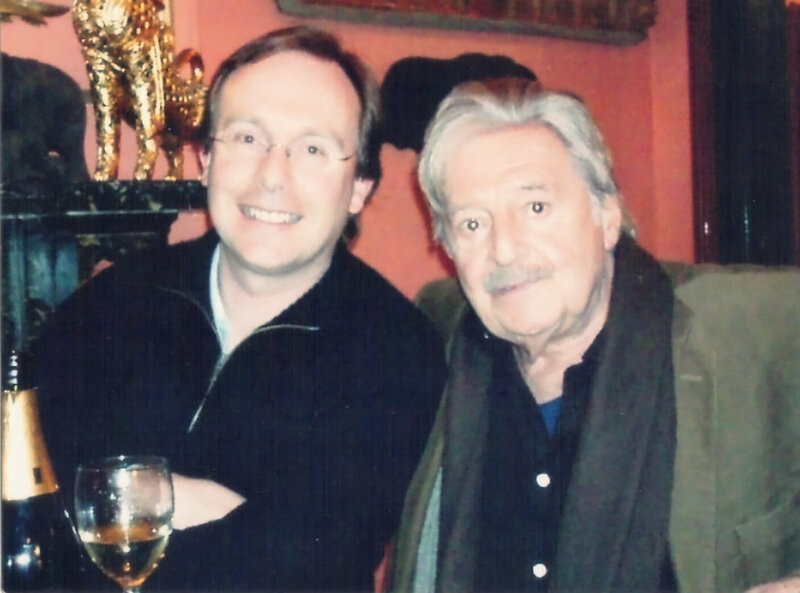 Peter Sculthorpe was my teacher, mentor and friend since I started learning with him in 1987. In addition he is without doubt one of the most original and unique composers that Australia has ever had. The following is the text of a speech given at him memorial service at the Sydney Conservatorium of Music, 29 October 2014. Just like so many attendees here tonight, I got to know Peter via being a student at the Music Department at the University of Sydney. 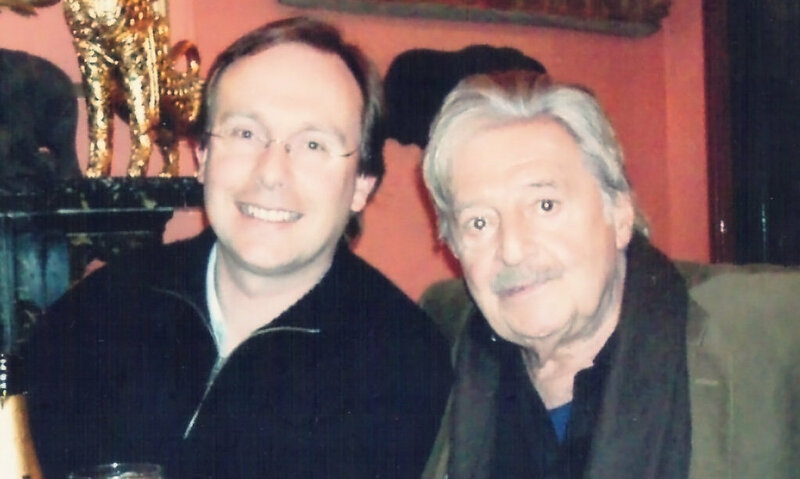 As a young high school student I took the leap into the risky unknown – taking a music degree rather than computer science in my case – and when deciding where to go, the achievements of Peter Sculthorpe, combined with the reputation of the University of Sydney, made the choice pretty clear. I imagine that this progression into the world of music was pretty typical for the majority of my fellow students who studied with Peter. And I’m sure that for this majority, their time with Peter similarly changed their life, for the better. As a teacher, Peter was so much more than a ‘do this, do that’, technical sort of person. He wasn’t shy to give advice and suggestions when needed, but much of the time, lessons with Peter were wide-ranging discussions on an immense variety of topics, on everything from music and culture, to Australian and international society, through to the workings of his brother’s gun shop. What Peter was really doing for us in our interactions was setting up a framework. He was setting out for us what it was like to be a composer, not just thinking about the notes on the page. It was the framework of responsibility that we had as budding and emerging artists to Australian, and artistic, cultures. It may seem self-evident in retrospect, but Peter was showing us that, just like almost everything in life, when it comes to writing music, having both a brain AND a heart is the most important thing. It is about being honest and true to oneself. It is about demonstrating respect and a desire to understand the work of others, even if it comes from places or approaches that initially seemed strange. It is inherently about recognizing honesty. Back in the 80s and 90s, we need to remember that this was a somewhat radical response. My own recollections at the time were that continuing the latest musical trends from Europe, for example, were what was important, and anything else was old hat, or not worth consideration. Peter’s desire was not for us to blindly follow trends or aesthetics, but instead to find what was in ourselves. To find our own unique voice, and to develop our skills to allow this uniqueness to flourish and find our own place in the world. Don’t just do something because it’s trendy, or the ‘done thing’ – do everything because it’s important to you, because it comes from your heart, find your own way. What an important lesson this was. It is THE most important lesson of all. I know I wasn’t alone in receiving such generous and optimistic advice from Peter. How do I know this? Well, it’s all around us. Australian music now, I believe, in a better place than ever before. Certainly the standard of works by Australian composers is consistently outstanding. Australian performers play increasing amounts of Australian music. OUR music. Audiences, both in Australia and internationally, are responding to Australian music. 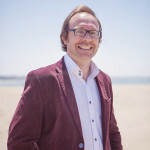 It is intrinsically linked to an increased sense of self-confidence about our unique place in the world: that, musically at least, we are not an outpost of Old Europe or a little cousin to the USA – unless we want to be. Peter is intrinsic to this. Not just through the music, but in his influence, his foresight, his generosity and wisdom that has been taken up by so many with whom he came into contact. For example, arts organizations like the Australia Council, ABC Classic FM, the symphony orchestras and Musica Viva Australia all bear marks of his indelible influence, even if he wasn’t immediately associated with them – because of his vast range of students and Peter’s philosophy. And not just organizations associated with Western classical music. When discussing my interest in electronic dance music with Peter, he was really excited and talked about how he would love to make a techno piece one day. What a surprise! But not really. As Peter said, there is room enough for all of us in Australia, and for a generosity of spirit and approach. Can we imagine a successful musical Australia without that which Peter Sculthorpe brought to it? No, it’s pretty much inconceivable – it would be just so different. Peter was indeed a musical giant – not just through his own music, but on the effects he had upon others. It will continue to resonate into the future. On behalf of all your past students, Peter, and all of those Australian composers still to come, I salute you. Photo of Peter and I, ca. 2008, by Adrienne Sach. This entry was posted in Uncategorized, Uni and tagged memorial, Peter Sculthorpe, speech by mhindson2000. Bookmark the permalink.